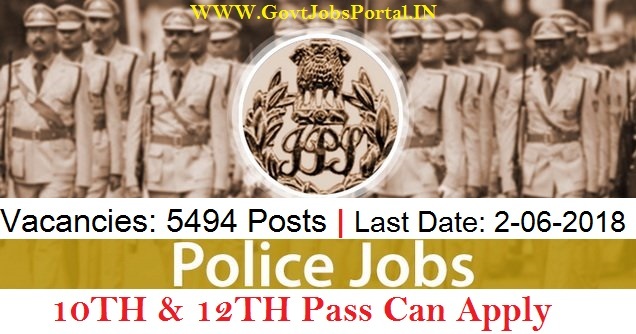 Police Department recruitment for 5400+ Constable Posts under Assam Police department. An official Notification is out from Assam Police department on their official website related to these Police jobs. Those who want to become Police officers can apply for these Police jobs in India. Candidates who are going to apply for this Police recruitment they will be placed in different location in Assam state. There will be two tests for the selection and those tests are “physical efficiency test” and “Written Test” for the selection of candidates. Male and Female candidates can apply for these Police Jobs in India. If you want more information related to this Police recruitment; we advise you to read this article carefully. Pay Band: Rs.14, 000 –Rs.49, 000 + Grade Pay Rs.5, 600. Educational Qualification: All interested candidates who have passed in their 12th class examination in any stream can apply for these Police jobs under Assam Police Recruitment 2018. Those who have passed in 10th Class examination from a well recognized school education board can apply for Armed Branches under this Police recruitment process. Age Bond: The maximum age up to which candidates can apply is 25 years; while the minimum age is 18 years for applying this Police recruitment process. Age will be decided as on 1st January 2018. Those who succeed in the Physical Standard Test which we explain in above table will be subjected to 3.2 km race to be finished within 14 min. or in 840 seconds. 335 cm is the minimum long jump which should be achieved by the candidates in 3 chances. Those who are going to achieve the longest limit of jump which get some award point which will be very useful in this Police requirement process. After meeting with the Physical Standards requirement female candidates will go through the 1600meter race which should be completed in 8 minutes. 244 cm is the minimum for long jump in 3 chances to be given by police department. Applicants have to apply online through the departmental website which we given under IMPORTANT LINK section. The link for applying online will be activated on 2nd May 2018. And will end on 2nd June 2018. In between these dates candidates can apply online for this Police recruitment process. 2nd June 2018 is the End Date to apply.